When it comes to documenting your employee’s time worked, sick days, overtime hours and vacation hours, there’s a few things you can do to make that process simple and time effective. By utilizing a Vacation Schedule Template you can do just that. It’s an Excel template that will automatically calculate the total amount of hours your employees earned for the week, based on the information you put. Once you have downloaded the Vacation Schedule Template you will see 6 columns. The first column on your left is where you will input the days and dates of the current work week. First put how much you pay per hour under the rate per hour section. You will then use the second column to input the amount of hours that employee worked that day. In the 3rd column you will put how much overtime that employee worked, the amount you have to pay will be calculated at the standard rate of 1.5 times the hourly rate automatically. The 4th and 5th column is used to input your employee’s vacation and or sick hours. As you enter the information in the template, it will automatically calculate the amount of hours and pay earned each day. You can also customize the template to your liking, such as setting up a column for rewarding bonus hours. If your employee works a flexible schedule but is only given a set amount of hours, ensure to note that employees specific hours frequently as it adds up to avoid going over the limit you set. If you decide to give your employees a 5-20 minutes break or if you do so only because of a state required law. The law says that you must pay that employee for their time, but if it’s half an hour or more, you don’t have to pay them for that time. Have your employees document the length of their breaks and lunches, to make adjustments within the document. For example, if John Doe works 4 hours a day, at 5 days a week and state law says John must receive one 15 minute break every 2 hours. You would add ‘4.25’ hours to the document for John’s hours each day. 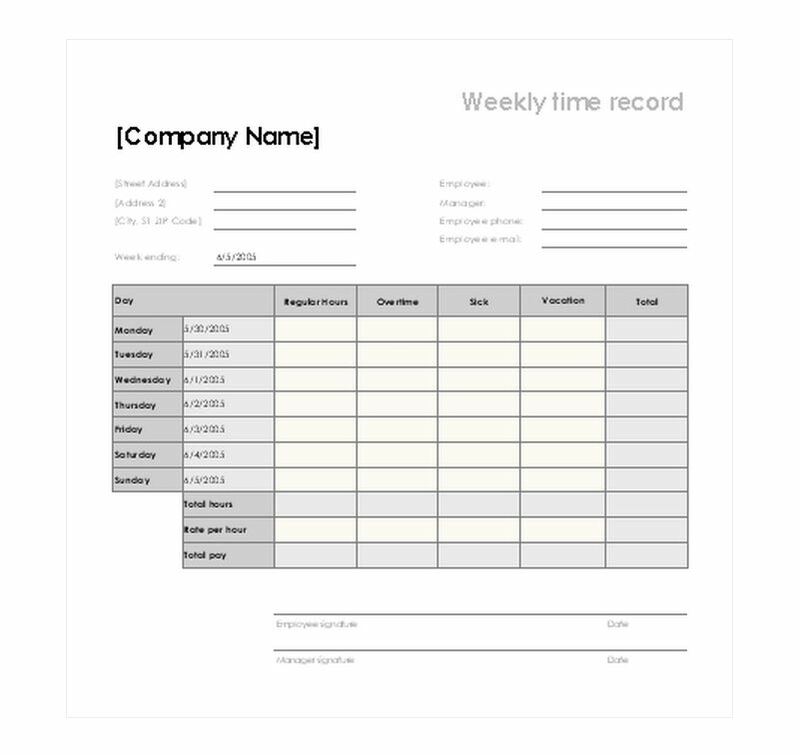 The Vacation Schedule Template is a perfect tool to use to keep a master record of your employee’s earned hours, you can download the template for free on this page!